In December 1930, Hoover appointed George Otis Smith to the newly reorganized Federal Power Commission and then appointed Walter C. Mendenhall to succeed Smith as Director of the Geological Survey. For 8 years before becoming Director, Mendenhall had been the Chief Geologist. Mendenhall was 59, the same age as Smith. He had joined the Survey in 1894, fresh from Ohio Normal University, and had mapped in the Appalachian coal fields. In 1898, he had been one of the pioneer geologists in Alaska, and in 1903 he had become one of the first ground-water specialists in the Water Resources Branch. An early member of the Land Classification Board, he became its chairman in 1911 and in 1912 the first Chief of the Land Classification Branch. For 8 years before becoming Director, Mendenhall had been the Chief Geologist. Although more than half his Survey career had been in administrative work, he had made notable contributions to the geology of Alaska, and his study of the principles in ground-water hydrology had helped to establish it as a field of scientific endeavor. Like King, Powell, and Walcott, Mendenhall became a member of the National Academy of Sciences. A year after Mendenhall became Director, the Federal budget was sharply cut as the effects of the depression began to be felt. The appropriations were not restored to earlier levels until the late 1930's, shortly before the outbreak of World War II, but the Survey subsisted, even grew, on funds transferred from agencies formed to combat the depression by the Franklin D. Roosevelt administration. The Tennessee Valley Authority, established in May 1933, turned to the Survey to meet its need for maps of the entire valley and for a much expanded program of stream gaging throughout the basin. Time constraints on the mapping assignment provided the Survey with an opportunity for a full-scale test of the use of aerial photography, with which it had been experimenting since 1904, and ultimately, with the aid of newly developed photogrammetric equipment and techniques, led to a complete revolution in mapmaking procedures. The Public Works Administration, established in June 1933, began allocating funds in August for topographic mapping, water-resources projects, and much needed safety work on the public lands that by November 1 amounted to more than $3.7 million, more than the total of all funds for the Survey's 50th year. By the end of the fiscal year, the funds from other Federal agencies and cooperative funds were four times the Federal appropriation. The grants from the Public Works Administration and the Tennessee Valley Authority could be and were used in part to extend Survey investigations and mapping into new areas and to support research studies. Mineral-resource investigations were made in Eastern and Southern States, extensive studies of the relation of rainfall to runoff and of the magnitude and frequency of floods were undertaken, gaging-station networks with improved structures and instruments were expanded, the topographic-mapping program became a national program, and most of the mapping was done at the needed larger scales. The Roosevelt administration made extensive use of boards and commissions for planning purposes, including both science and conservation. The Science Advisory Board, established by President Roosevelt in July 1933 and placed under the jurisdiction of the National Academy of Sciences and the National Research Council, reported to Secretary of the Interior Harold Ickes that the organization of the Survey was well designed, and its scientific and technical standards high, but its work was inadequately supported and conditions under which its scientists worked were intolerable. The National Planning Board, established at about the same time by Secretary Ickes to aid him in formulating a comprehensive plan of public works, evolved into a National Resources Board or Committee that attempted to develop policies for minerals, mapping, water, and land use. Survey scientists and engineers contributed to these planning groups. Although Americans in general and Congress in particular were suspicious of governmental planning, the idea was eventually accepted. In June 1934, the Taylor Act was passed, providing for organization of the public grasslands into grazing districts under the control of the Secretary of the Interior. By the following March, the President withdrew all remaining public lands, used primarily for grazing, to determine the most useful purpose for which they might be used. 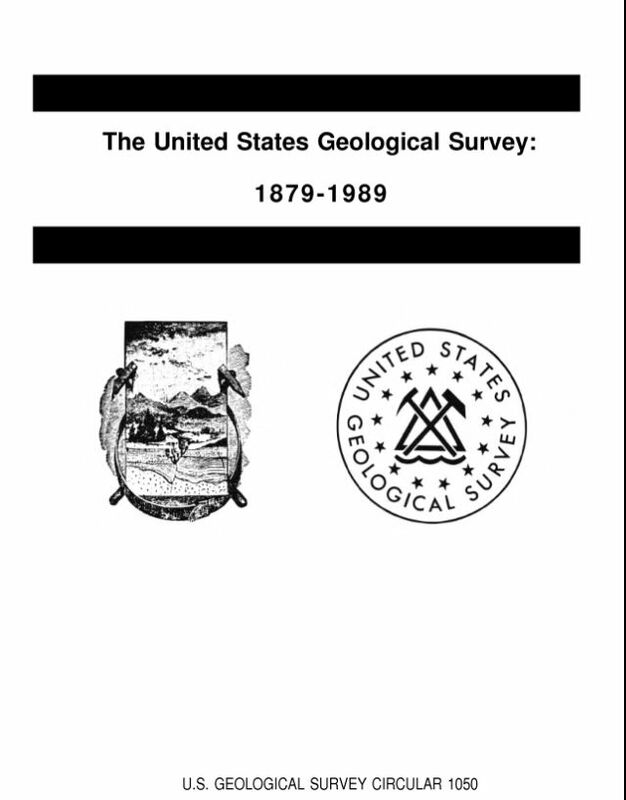 The work of agricultural and grazing classification, which the Survey had begun in 1909, was transferred to the new Grazing Service as the third spinoff from the Survey. The Federal appropriation for the Geological Survey was restored to its 1931 level for the fiscal year beginning July 1, 1938. No longer dependent on uncertain emergency funds, the Survey hoped to resume its long-term research and mapping projects. By that time, however, Germany, Italy, and Japan were already perceived to be aggressor nations. Beginning in the mid-1930's, both the Survey and the Bureau of Mines had called attention to the need for strategic-mineral investigations. The need for a national mapping program had been outlined as early as 1934. Strategic-mineral investigations were begun in 1938 with funds from the Public Works Administration. Congress passed the Strategic Materials Act in June 1939 and appropriated funds for strategic-mineral studies in August, only days before Hitler's armies marched into Poland to begin World War II. Topographic mapping of strategic areas in accordance with military priorities was begun in 1940. In 1940 also, the State Department allotted funds to the Geological Survey to begin investigations in cooperation with other American republics to identify mineral deposits of potential importance in hemisphere trade. The Japanese attack on Pearl Harbor on December 7, 1941, abruptly ushered the United States from defense to war and united Americans in a determination to defeat the Axis powers. For the next several years, the Geological Survey bent its entire energies to the war effort. The Geologic, Topographic, Water Resources, and Conservation Branches each made its own special contribution.